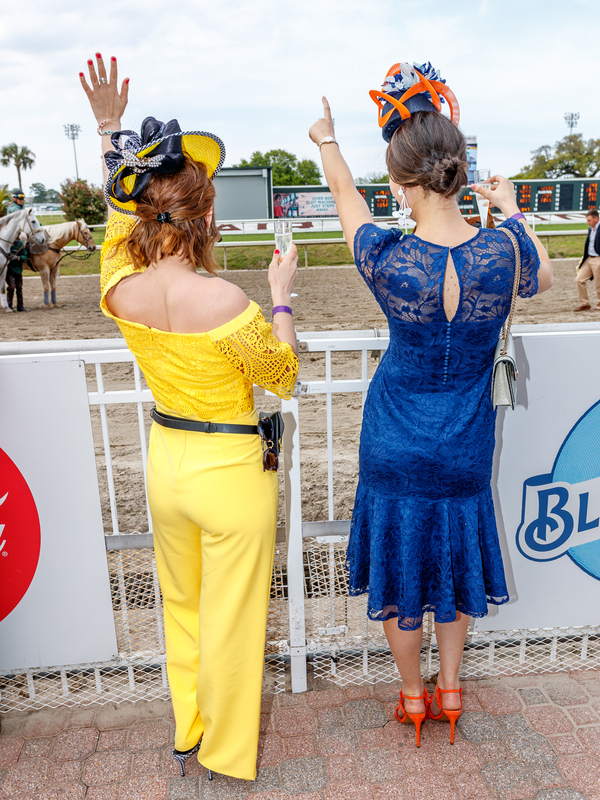 In the spirit of the mind-blowing March Madness tournament- I think its time to post my Louisiana Derby outfit. I didn’t dress in Auburn colors on purpose but I can’t say I was said about it when someone pointed it out! Good luck Auburn! You deserve it. 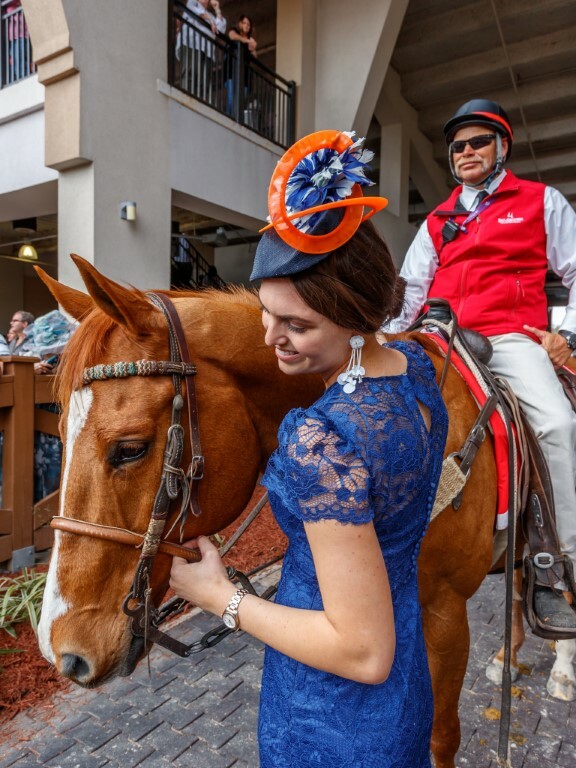 Okay back to the racing fashion. People always ask: What comes first? 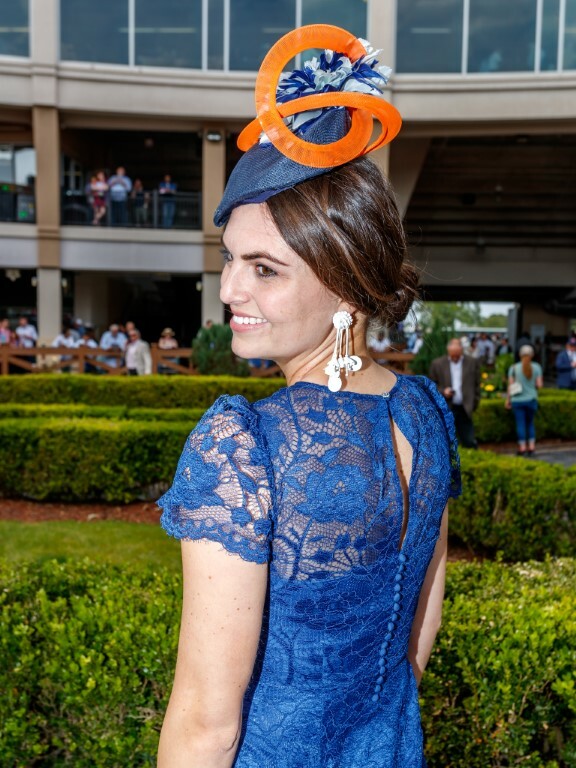 The Hat or the Dress? 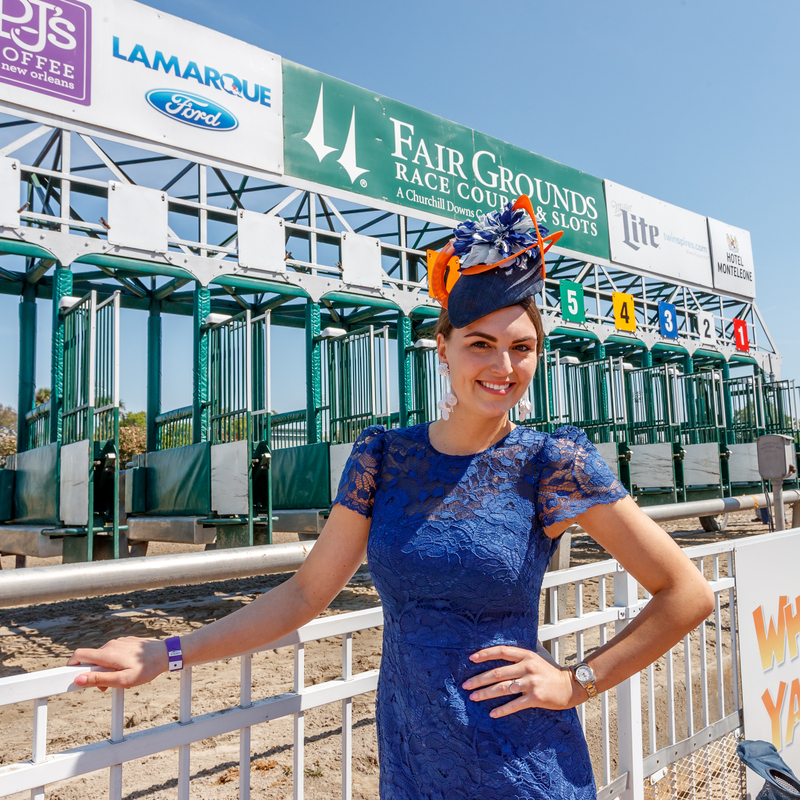 In this case- the fascinator came first from one of our talented milliner, Karen Morris. 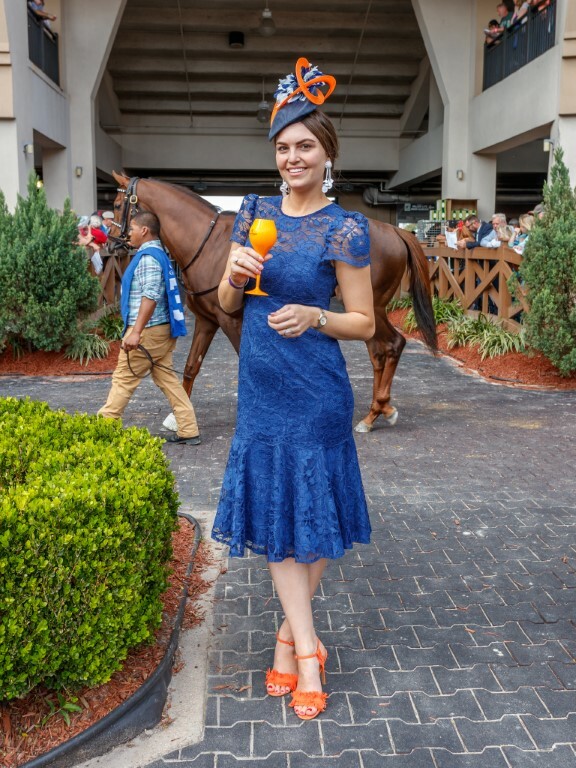 Beautiful blue sinamay base with bright orange swirl details and structured handcut heathers- I thought this bright fun fascinator would be a great wear for the Louisiana Derby! 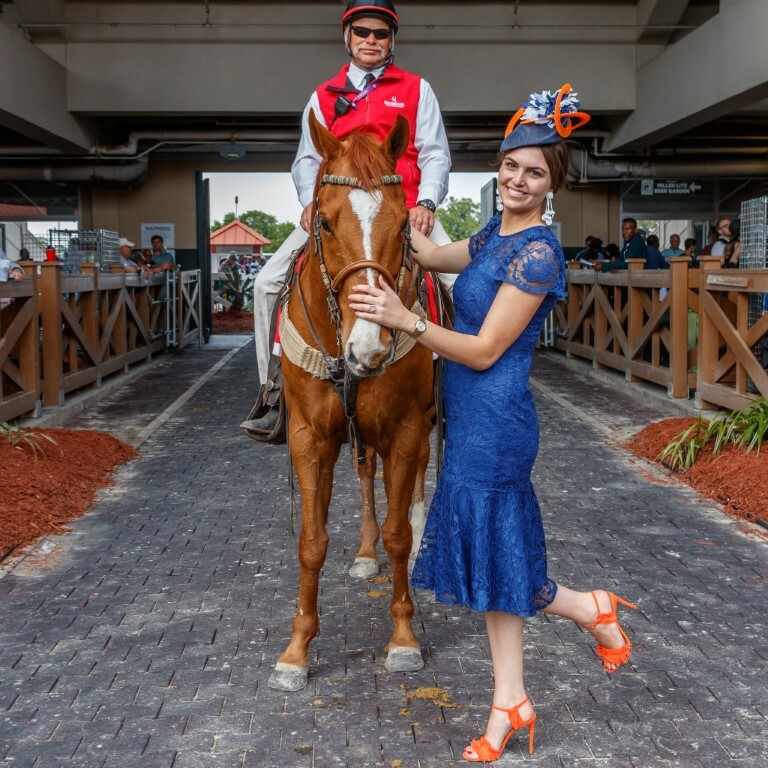 My easy go-to is Dillard’s for racing dresses and they have really stepped up their fashion game this year! 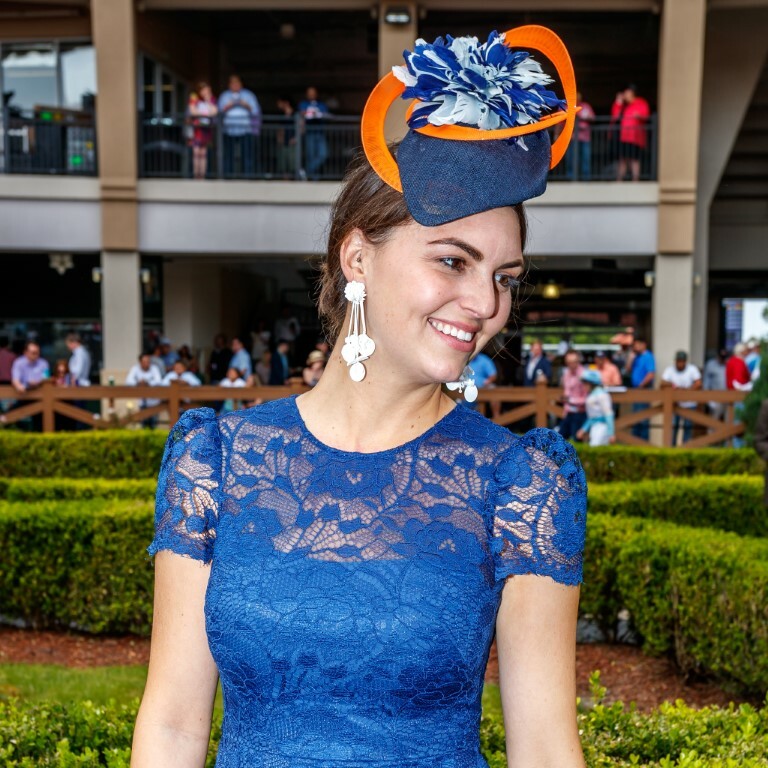 They have recently started to carry one of my favorite fashion blogger’s line, Gal Meets Glam and this gorgeous navy lace number is one of her featured dresses. Love the triangle cut out in the back with the linear button details (such an elegant classic feature). If you’ve read my posts before, you know that I love the tea-length skirts and this one falls right where it needs to on my 5’10” frame. I love the mermaid finish giving the classic dress a bit of modern flair. Now to some of your favorite’s part- the shoes! I actually have been wanting to rock these babies for a while now but haven’t had the right ensemble to pair them with. I purchased these a while ago from Banana Republic- yes they sell shoes and they have some really great designs occasionally! These bright organize sandals have a kind of pom pom accent across the toes. Besides not having a ton of padding, they are pretty comfy! I almost chose a white patent pump instead to go with my white Kate Spade earrings but my gal pal talked me out of it and back to the orange sandals. Had a blast putting this outfit together as I do every racing outfit. This one was pretty simple but still had a great stand out vibe. 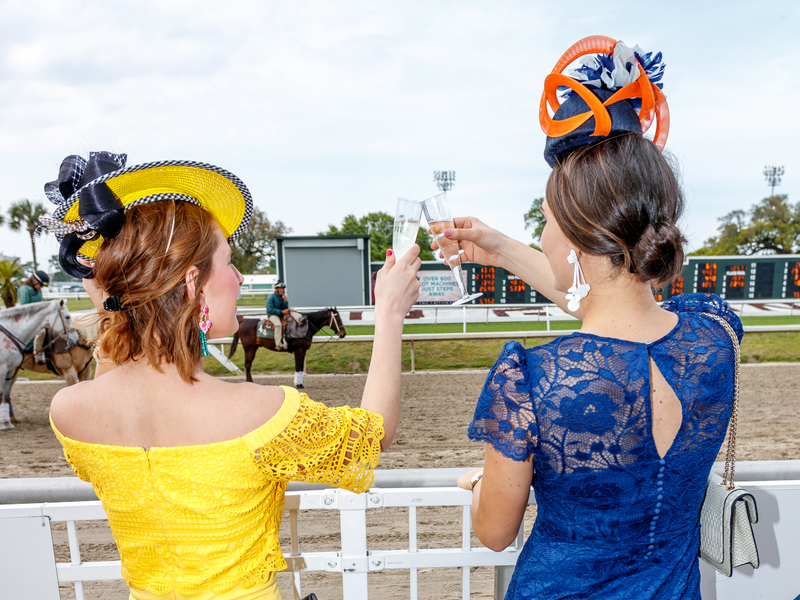 Next we need to focus on the Kentucky Oaks and Derby! Oh boy!